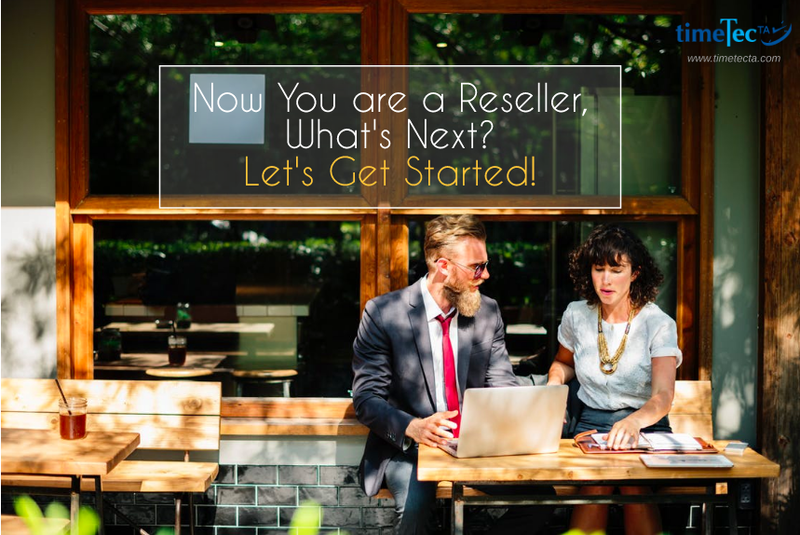 You’ve been approved as a TimeTec Reseller, so what’s next? This article will explain what you need to do as a TimeTec Reseller and it will provide you an overview of TimeTec Dealer/Distributor account. 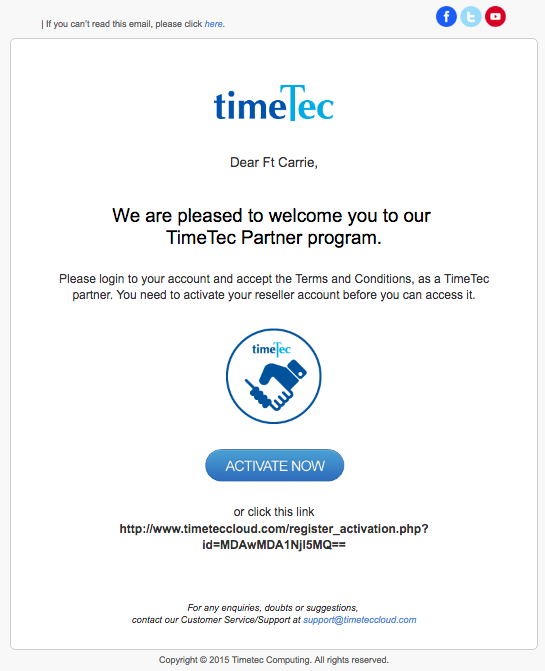 Once you have been approved as a TimeTec Reseller, you will receive a welcome email with activation link. Click the Activation button or link to activate your account, and login to start. 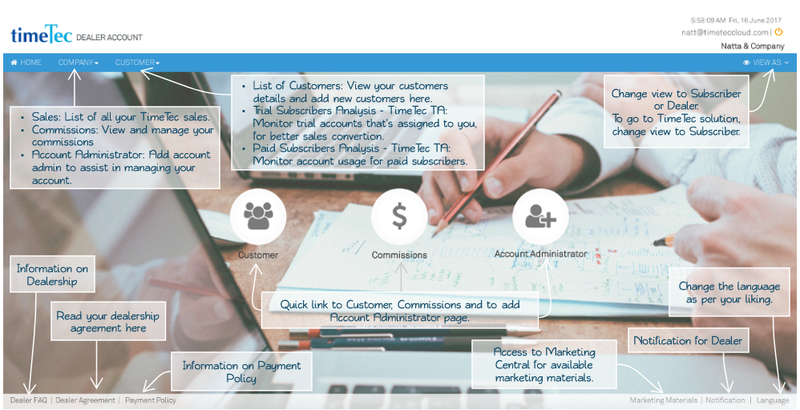 TimeTec Reseller account allows you to view partnership agreement, payment policy, marketing material, add Customers, add Dealers (for distributor account only), add account administrator, view your sales and also commission. Below are some pictures that will provide you the overview of Reseller and Distributor accounts for your reference. All TimeTec Resellers will be provided with a trial account once the application has been approved. In the trial account, you will find 2 sections; My Account and application (TimeTec TA/TimeeTec Patrol/TimeTec Leave, etc). My Account is where users manage their licenses, enable auto-renewal option, check invoices, add billing admin, etc. Below is the overview of My Account. To access to TimeTec solution from My Account, mouse over at the application list icon and select the application. You can also check available TimeTec solutions and activate them at Company > Company Account. Setup your account using our Setup Wizard and register to our Webinar session for a full training. Correct company information is important for all resellers, as we will be assigning potential customers to you from time to time. Assigned customers will be informed of your details; company name, address, contact number and contact person, and you will also received a notification email complete with the customers’ details. Company profile can only be edited from TimeTec solution; either TimeTec TA, TimeTec Patrol, or TimeTec Leave. At the application, go to Company > Company Profile. Now that your TimeTec Reseller account is ready, start adding customers and promote TimeTec. Feel free to use our readily available marketing materials for your promotional activities. 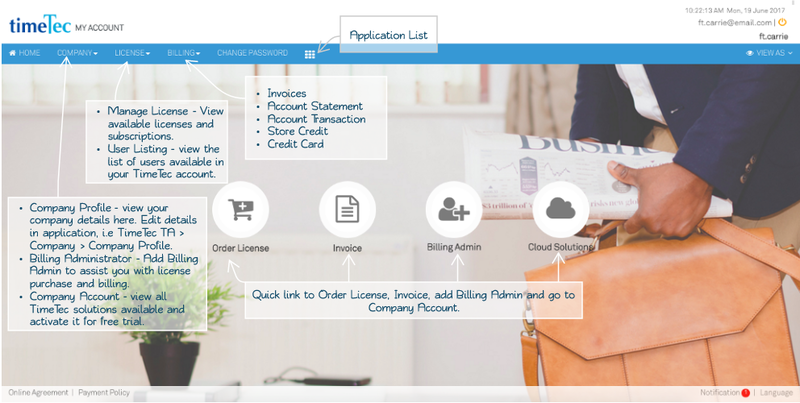 If your customer has created his account, contact us at info@timeteccloud.com and we can assign the customer to your account. Good luck and happy selling! For Malay version of this guide, click HERE.